It seems like the folks at Epic Games are cooking up something big for Season 4 of Fortnite Battle Royale. Recently, an approaching comet or meteor appeared in the sky above Fortnite Battle Royale’s map, leading to all sorts of fan speculation, with many predicting the Tilted Towers area was due to be destroyed by a giant flaming space rock. Well, Tilted Towers is still standing, but according to numerous players on social media, the meteor shower has begun. Rather than one big rock, Fortnite Battle Royale is being peppered with a series of smaller meteor strikes. You can check out an example of what’s happening, courtesy of Twitter user Fire Breather, below. That definitely looks like a stylized comet, and what’s with the guy in the mask? Is superhero gear, and maybe even powers, coming to Fortnite Battle Royale? Is Epic cooking up some sort of PvE event where players have to fight off a threat from space? Maybe the superheroes are the threat? Lots of possibilities! Looks like Season 4 is going to shake things up in a big way. For those unfamiliar, Fortnite Battle Royale features regular two-month-long seasons, which include unique weekly missions, and content players unlock by earning XP and opening up reward tiers in the season’s Battle Pass. Season 3 will wrap up on April 30, and Season 4 will likely kick off immediately afterwards on May 1. What do you think is going on with the meteors craziness? 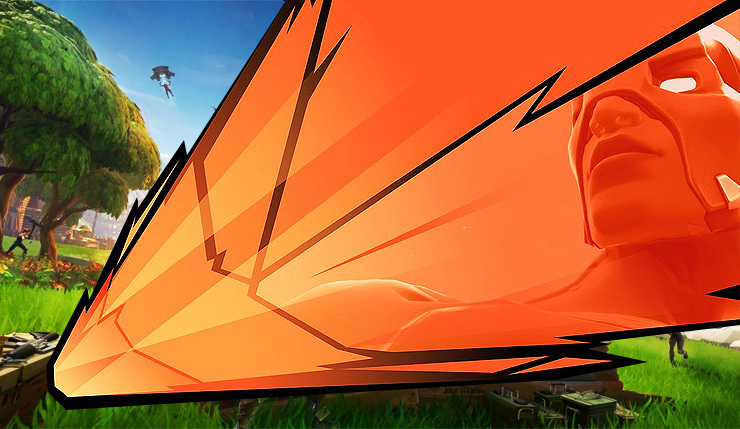 Are you excited about superheroes somehow being added to Fortnite Battle Royale? Or are things getting too crazy for your tastes? Fortnite Battle Royale is free-to-play on PC, Mac, Xbox One, PS4, and mobile.